Mansfield ISD will host its annual back-to-school bash on Saturday, August 4 from 8 a.m. to 1 p.m. at the MISD Center for the Performing Arts (1110 W Debbie Lane, Mansfield, Texas 76063). The event, meant to bring the community together for a day of family fun, will officially kick-off the start of the 2018-19 school year. Note: To help alleviate traffic congestion in the area, free shuttles will be running throughout the day at Legacy High School and Summit High School to transport participants to and from the event. The Stuff the Bus Campaign is the community fundraiser to raise the funds for the school supplies that will be distributed at the bash. Through various sponsorships, donations and community "give back" nights, the district is able to provide the backpacks filled with school supplies. If you are interested in helping us reach our goal of giving away 5,000 backpacks, please consider making an online donation or becoming an event sponsor. 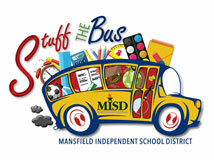 At the bash, school supplies and services will be provided free of charge to MISD students. Backpacks will be given to Mansfield ISD families on a first come, first serve basis at the Ben Barber Innovation Academy (across the parking lot from the MISD Center for the Performing Arts). No registration is required, but families will be required to check-in for the school supplies and health services provided. Parents/students should be ready to provide the student's ID number on the day of the event for verification. 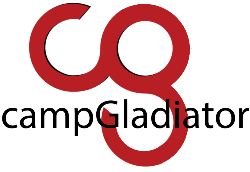 Community groups and businesses that wish to provide relevant services, products and information to attendees have the opportunity to occupy a booth at the bash. Booth space is limited and will be filled on a first come, first serve basis. Booth reservations are now closed. If you have questions about an existing booth request, please contact Elizabeth Carmody at 817-299-6369. Each campus will be in attendance with fun activities like bounce houses, obstacle courses and more to interact with our MISD families. In addition, dozens of student performances will be held in the Performing Arts Center. This will be an opportunity for parents/guardians and students to meet with the campuses they will be attending and see some of the many fine arts programs Mansfield ISD has to offer. For more information about the event, contact the MISD Communications Department at 817-299-6345 or info@misdmail.org.